Posted on February 1, 2018 at 10:33 am. 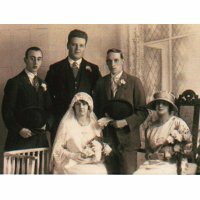 Harold Ernest Colver was born in Gainsborough on the 1st of August 1899 his father was the wages clerk at Marshalls of Gainsborough and the family were devout Methodists. Harold was born into a family of 6 children, 3 boys and 3 girls. He was next to the youngest and had one younger brother and an elder brother who was 17 years older than him. After school Harold probably went to work in his elder brothers outfitting shop in Misterton as in his letters from camp he complains about losing his retail skills. Harold appears to have been enthusiastic to do his bit in the war and on the 24th January 1916 he joined the Lincolnshire Regiment at Gainsborough. His attestation document puts his age at 19 years and 17 days. Old enough to go straight to France after training, but in fact he was only 16. It is presumed that his father was not happy about this. A tribute to Harold in the Wesleyan Chapel magazine states that his father wrote to Harolds commanding officer and he was duly discharged for making a false statement on his age at enlistment. In the paper work Harold is described as 5 foot 8 inches and 120lbs (8 and half stone) with blue eyes and light brown hair with a 34 inch chest! The recruiting officer must have turned a blind eye to accept him as nearly 20! Description: Letter to Harold's sister where he explains how he is not allowed to write. 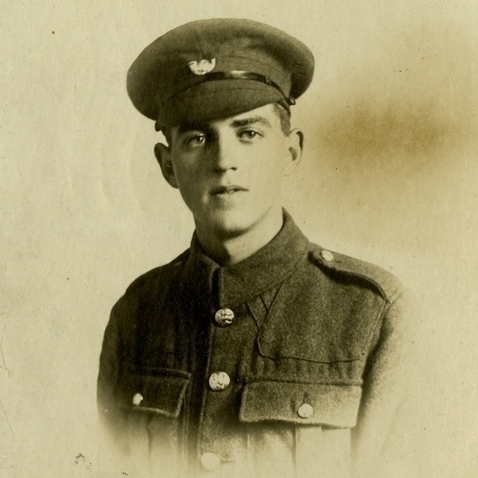 Harold bided his time and re-enlisted just prior to his 18th birthday joining the Kings Own Yorkshire Light Infantry this time, probably at Pontefract. Posted for training he moved to Rugely Camp on Cannock Chase and wrote regularly to his family. At some time Harold was involved in some kind of infection as he was confined to his hut, which had guards on each door. Food was brought to them and left outside and they had to disinfect and scrub out the whole hut. He also had to wear a white armband. Though banned from sending out post Harold somehow managed to write to his sister about his experiences. 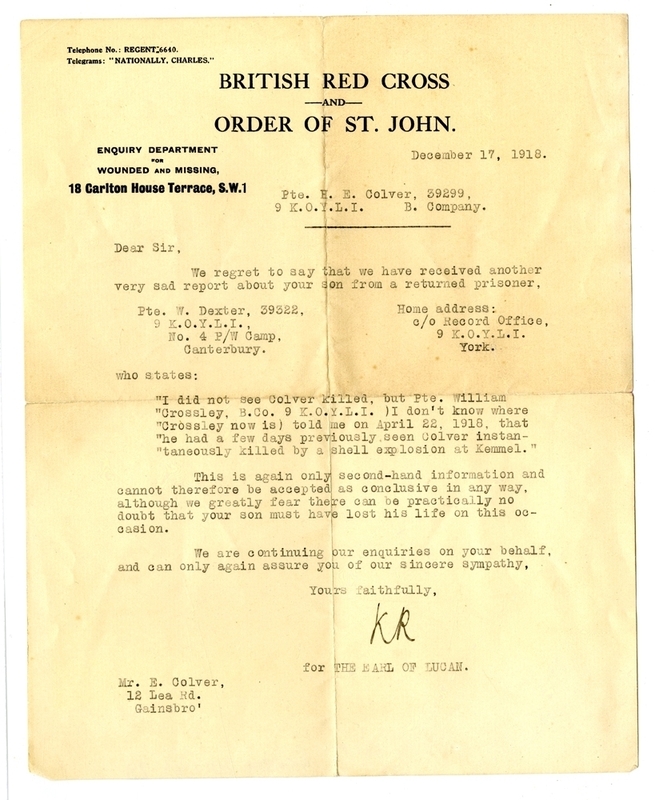 In an undated letter he puts his address down as Hut 42, B Company 8th battalion KOYLI. This letter must have been written soon after June 1917 for he refers to the air raids on London and expresses his wish to get at the Germans with his bayonet- even if he only kills one before being killed himself. He also expects to be moved from the camp to a billet in a town for the winter. In another letter he describes his daily routine Turn out 7.45-12.30, 1.30-4.30, 5.15.6.30 and 9.45-12.00pm. 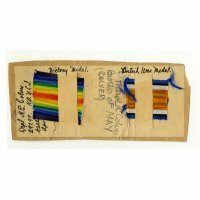 By October 1917 Harold was billeted with a couple in Ipswich where he complains about being called out of bed to perform various duties, but still wishes he was back in camp with 3 blankets, 3 bed boards and a straw pallias rather than in a feather bed! Meals are provided in an old church and he now carries his steel helmet and gas helmet at all times. During his time in Ipswich he describes his training routine. 14 mile route marches every Thursday and on Monday, Wednesday & Friday they “go into battle” 7 miles from Ipswich with full pack, rifle, hose respirator & steel helmet. The pack alone weighing 90lbs. He also asks his elder brother about the rifle he has received on joining the home guard. Stating that those with a projecting barrel and magazine buried in the stock are a failure! By November he has moved billets from 34 Phoenix Rd to 765 Woodbridge Rd. Here the owners are more elderly and he describes sitting up with them in the night during an air raid warning. He is now carrying his full pack, rifle, gas regulator and steel helmet ready for France. Though he worries about being sent to Egypt or Salonika instead. Description: “Don’t go too far in the girl line as they are easy to pick up but hard to shake off”! Harolds letters are full of his hopes to go to France and he expects this to be there for the spring offensive of 1917 which may be March or May, unless things go wrong! Details of which are “being kept quiet from the public”. He also knows that his mother is worrying about him and asks his brother not to tell her what he has said, as he is telling her that when he goes to France he will go to a base camp and not to the trenches. Again there appears to be some confusion about his exact age in the army as he mentions that the army thinks that he is 18 years and 5 months old whereas in fact he is 18 years and 1 month. This means that he can go on active service abroad 4 months earlier. Description: Harold went to France three days after this photo was taken. Kindly submitted by Jim Colver. No more letters from Harold have survived though we know that he continued to write almost every other day to his family. He returned to Doncaster and from there was part of a draft rushed to France to counter the German March offensive. this move was so rapid that his leave was cancelled and his family had to come to Doncaster to see him off. We do not know when Harold reached the front but he arrived in France on the 30th March and was probably moved immediately up to the Ypres Salient just south of the Menin Road. The 9th Battalion had suffered heavy causalities and had had no time to properly absorb its new recruits before a major German attack on the 9th of April “The battle of Lys”. 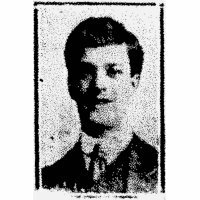 Harold was reported missing assumed dead on the 21st of April 1918 he had been in France only 23 days and was still only 18. Details of the location of his death are confused but all the accounts concur on the cause of death. The part of the trench he was standing in suffered a direct hit from a shell and he was never seen again. This may have been near Zillebeke Lake on the 15th of April or near Onraet Wood in the Wytschaete Sector on the 21st. 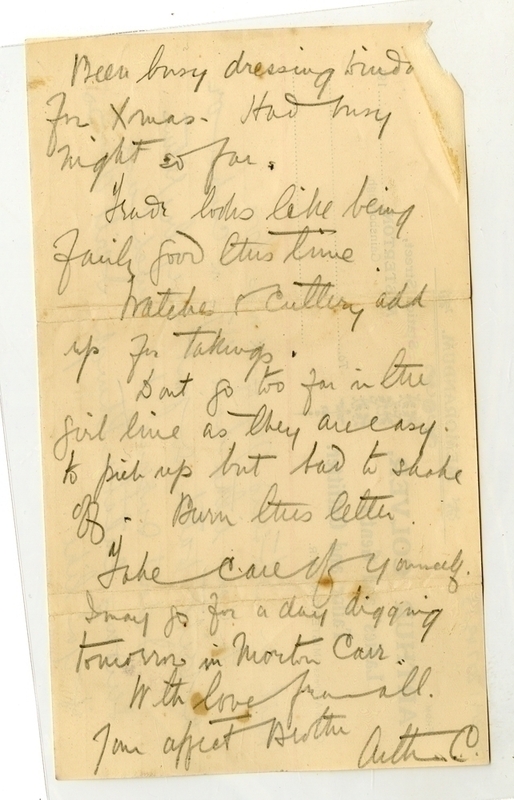 A letter to his mother from a wounded friend puts the date of death as the 24th. Several accounts report that it was a German “five nine” heavy shell that hit the trench and this makes the earlier date more likely as the shelling on the 21st was caused by “Friendly Fire”. It is probable that with all that was happening at the time Harold’s death was not recorded until the 21st though in fact it had occurred earlier. 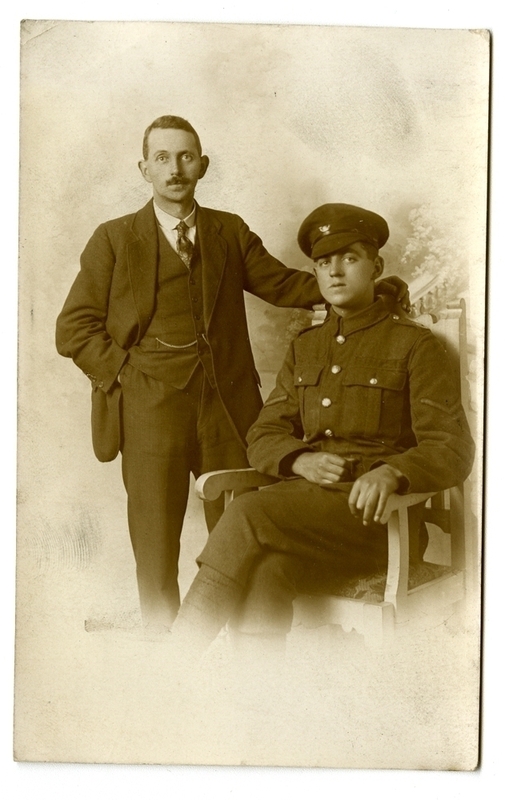 Harold’s family’s first knew of something being amiss when his letters stopped, his cousin Harry Hopthrow who was also at the front tried to visit him on the 3rd of May and learnt that he was missing, he immediately wrote to inform the family. On the 8th of May a wounded friend also wrote to the family to inform them of his loss, this was followed by a second letter on the 17th of June giving more details. All the letters confirm that there is no hope and that Harold has been killed, however it is obvious from the language used that Harold’s mother finds this very hard to accept, even when the fact is confirmed by Harold’s CO. 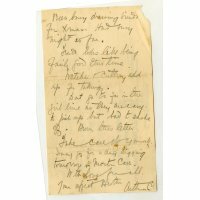 In the KOYLI archive there now survives a whole list of replies to what is obviously a desperate attempt by Edith Colver to find any trace of her son or his grave. 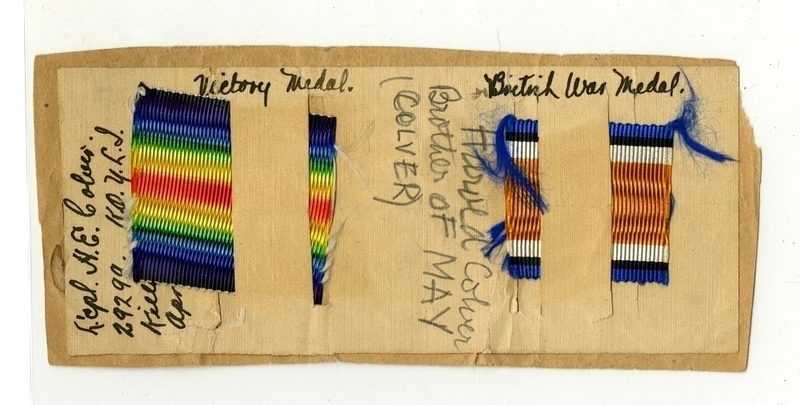 On the 5th June she receives a reply from the war office saying enquiries are being made. 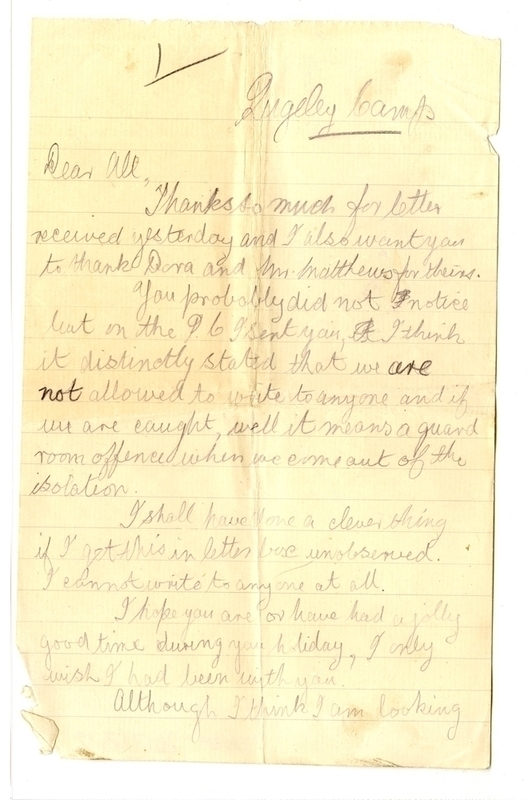 On the 19th June a letter from Lichfield Military hospital to say he is not there. On the 13 July a letter from the war office responding to her letter of the 21st of May again saying that there is no news. Further letters follow on the 15th of August and the 12th November. Attached to these is leaflet that details the actions that are taken to try and trace soldiers reported missing. 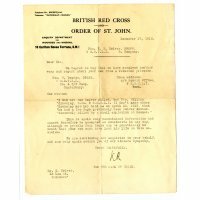 However this does still not seem to be enough for Edith and on the 17 December she receives a reply from the Red Cross to her enquiries. Unfortunately however they have only been able to trace another second hand report of her son’s death. On the 21st July 1919 the war office writes to inform her that Harold will shortly be declared officially dead. She is advised not to advertise in the papers for more information as this has led to impostors supplying false information for money. In September 1919 the Certificate of Death is officially issued. Edith however continued her quest to find Harold’s grave. 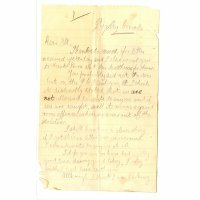 In May 1920 the family receive Harold’s back pay of £6 6s and in June 1921 a letter from the barracks at Pontefract to say that there is no trace of Harold’s grave and that they are forwarding her letter onto the Imperial War Graves Commission. Finally a letter on the 20th June 1921 confirms that Harold has no known grave and that Harold will be commemorated on a memorial soon to be erected. Harold’s name is inscribed on the Tyne Cot War Memorial (panel 108 to 111). Alongside 35,000 other names of soldiers who have no known graves. Edith died in December 1924 aged 62. The Tyne cot memorial was unveiled on the 20th June 1927. Thank you for posting the story of Harold’s war, I found it very interesting. 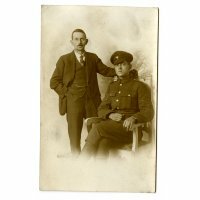 It has parallels with my great uncle George Percy Mann’s (see post on this site) – he too was lost in action aged 18, serving with 9th battalion KOYLI at Kemmel Hill on 26th April 1918. He is commemorated on the Tyne Cot memorial panel 108 to 111. 1918-04-07 - 1918-04-29: Second phase of the Spring Offensive, Operation Georgette (aka Battle of the Lys). The results are disappointing for the Germans.